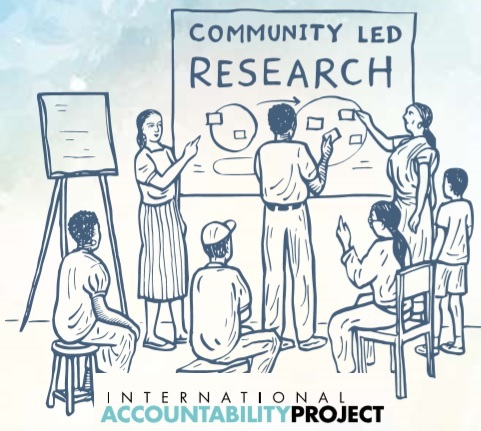 International Accountability Project (IAP) released a new set of community guides to help communities conduct their own research and in the process define their development priorities and aspirations. The “Community Action Guide on Community-Led Research” set of 3 booklets provides clear and detailed guidance on each step of the research process, information on safety and security, and inspiring stories of community organizers around the world who have used community-led research to redefine development processes in their own communities. As IAP’s website explains: By supporting communities to collect data based on local expertise, knowledge, and experience, we can collectively challenge power imbalances and ensure that development is more inclusive and reflects the priorities of the people. When community members do their own research, they may uncover findings that outsiders would not. Communities possess knowledge about their surroundings and environment that decision-makers and planners may not know. (1) Community Action Guide on Community-led Research concrete step-by-step guidance on how communities can lead their own research to determine their own development priorities, and respond to unwanted development projects. (2) We’re Experts Too! A Checklist to Support Community-led Research for a concise overview of community-led research to be used on its own, or as a supplement to the Community Action Guide on Community-Led Research. (3) Survey Template for Community-led Research provides instructions and sample survey questions that have been developed and used by communities and civil society partners in 14 countries around the world. An editable version of the template can also be downloaded in this site. The set is part of a series of Community Action Guides developed with local activists and partners to help demystify the development process, introduce the actors involved, and offer strategies for community-led solutions to development.